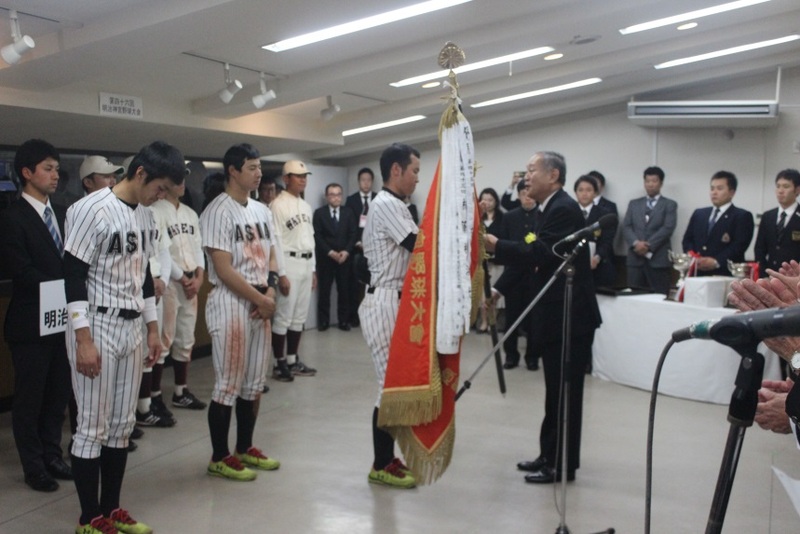 To mark the close of 2015 amateur baseball season, 10 regional high school champions and 11 university champions participated in the 46th Meiji Jingu (Shrine) National Championship at Meiji Jingu Stadium in Tokyo for 6 days from November 13. 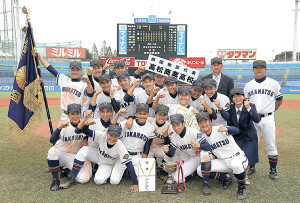 The final game of High School Tournament, Takamatsu Commercial High School from Kagawa Prefecture in Shikoku Island won for the first time by defeating Tsuruga Kehi High School from Fukui Prefecture 8-3, thus securing Shikoku Island region to qualify an additional spot in the 88th National Invitational High School Championship at Koshien Stadium in Nishinomiya from in March, 2016. 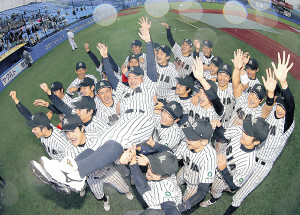 In the University section, Asia University of Tohto University Baseball League beat Waseda University of Tokyo Big-6 League 2-1 in 14th inning, recording 5th win after 2 years in the Autumn National Championship.